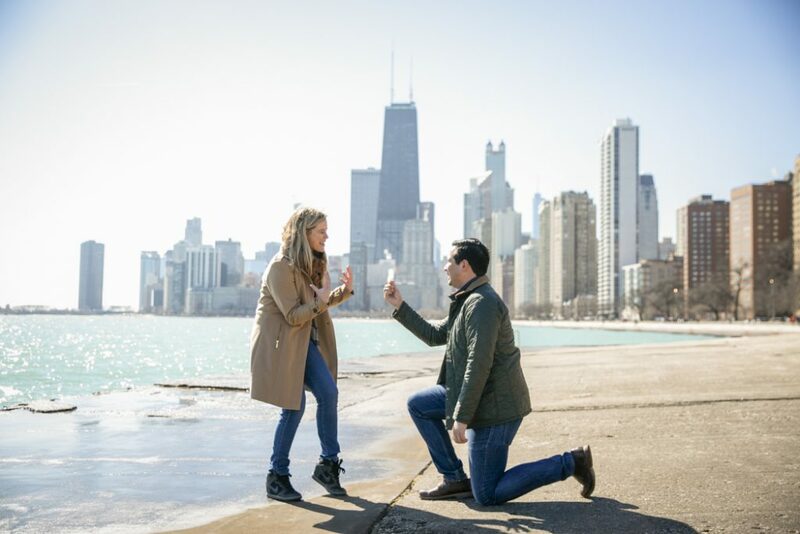 Paparazzi Proposals captured a stunning Chess Pavilion Chicago engagement proposal this past weekend with a stunning view of the city skyline. Juan reached out to us to capture his big kneeling moment without his girlfriend knowing. We coordinated for our photographer to be posing as a tourist taking pictures waiting for their arrival. To add to the surprise, their family and friends were waiting nearby, hidden as well, anxious to join in the celebration. The Chess Pavilion looked picture-perfect with a bright, clear skies and the crystal blue water. 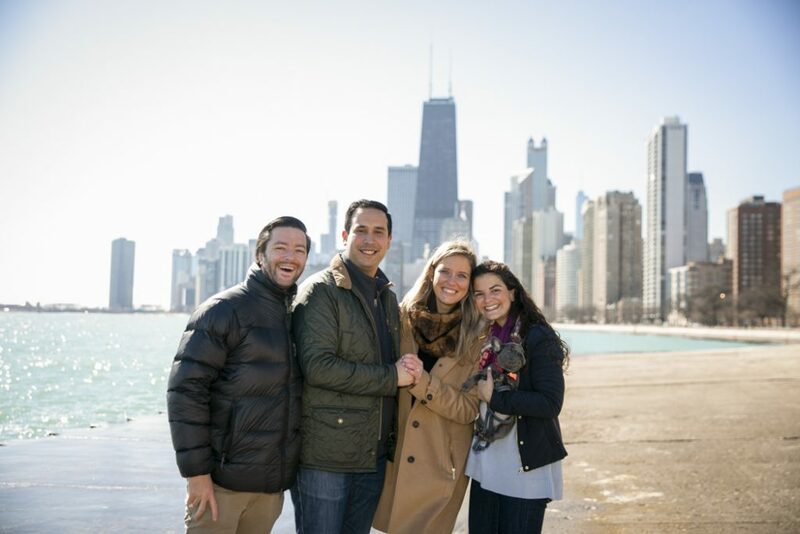 As she took in the views, Juan surprised her with a diamond ring! All of their family and friends came out to congratulate them, and our sneaky photographer was sure to capture all the excitement. 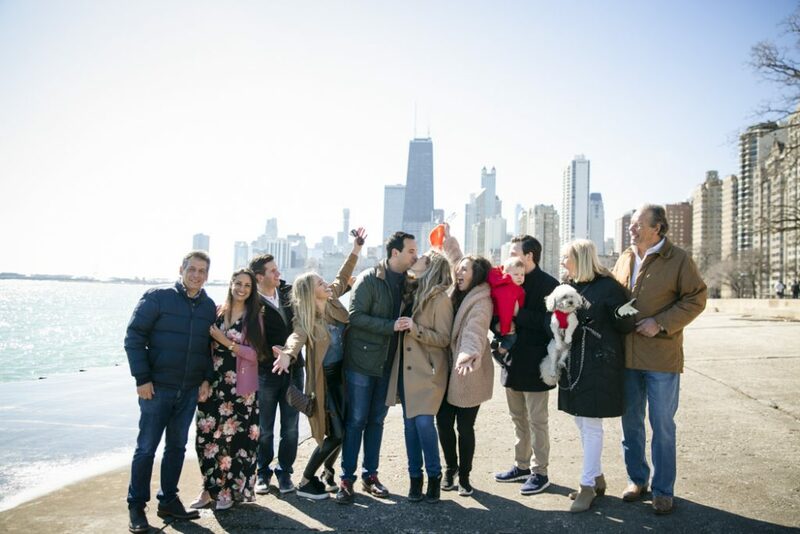 Get more proposal ideas in Chicago! Contact one of our experts at 1 (888) 287-5120 for a free consultation. The picture-perfect engagement proposal is one phone call away!